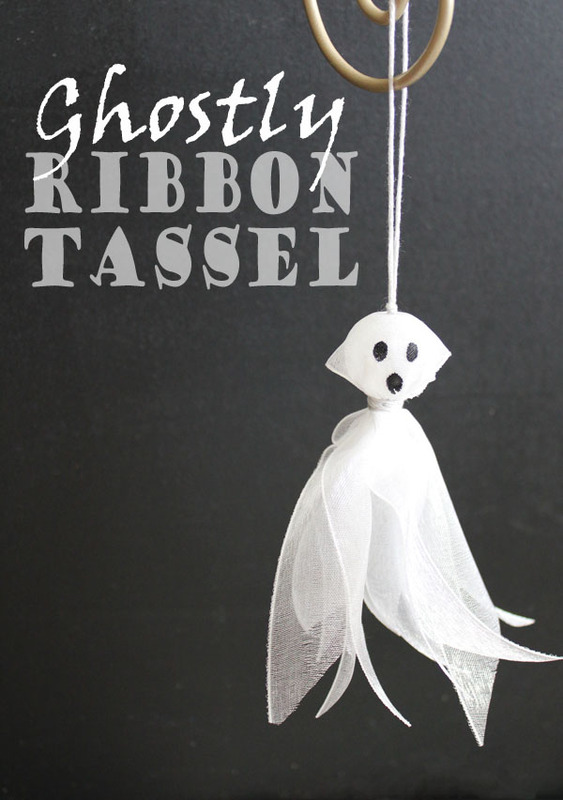 This ribbon tassel ghost is a craft that can be made in about 10-15 minutes. It does require a teensy bit of sewing, but not really. 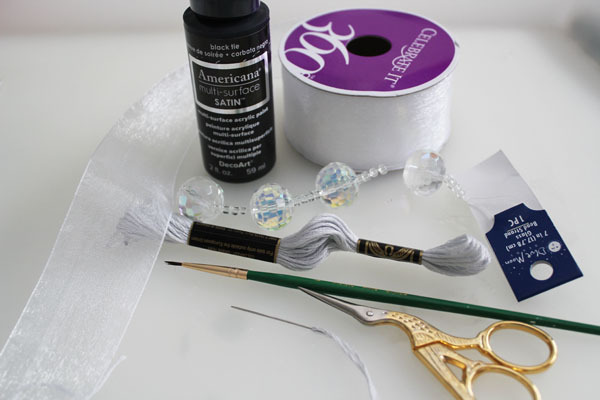 You don’t have to stitch fabric together, and if you are unsure about your stitches, you can always add a dab of glue to keep them more secure. So, I call this one a “virtually no sew” project. 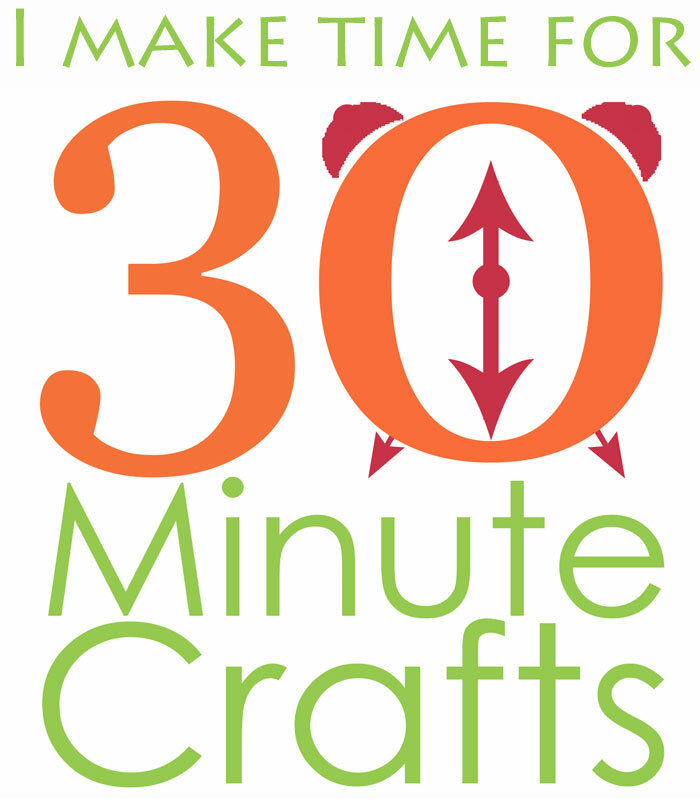 Because if you’re someone who has a fear of needles (both at the doctor and in the craft room), this project is totally do-able. This project is my third in our Craft Lightning series. 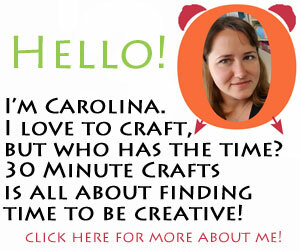 Angie from The Country Chic Cottage and I get together to do a week-long series of super fast crafts – crafts that can be done in 15 minutes or less… and then we get out blogging buddies to join in and share their fast crafts as well. 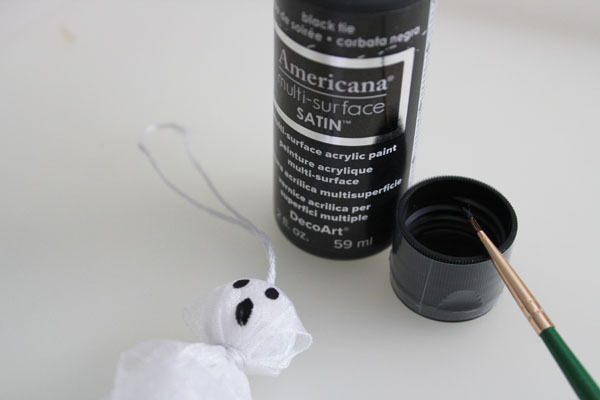 This Craft Lightning week we’ve dedicated to super spooky crafts for Halloween. Ghosts, goblins, bats, monsters… oh my! Needle with a big enough eye for all the strands of floss. 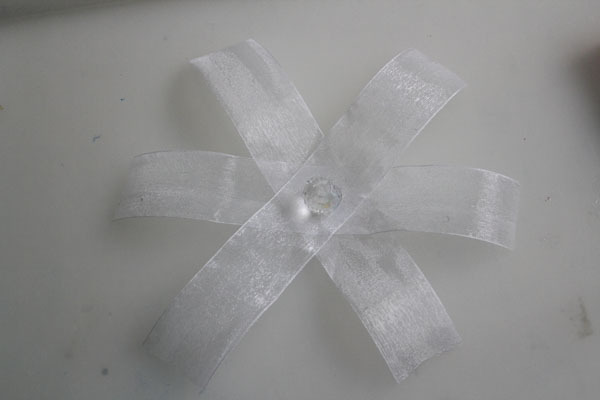 It doesn’t need to be sharp for this ribbon, but will need to be sharp if using satin ribbon. 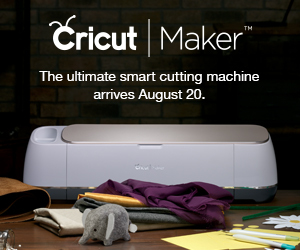 Start by cutting 3 lengths of ribbon, each 8″ long. Lay them out in an asterisk formation, with the bead in the middle. Cut a length of embroidery floss. I like a piece from the tips of my fingers to the center of my chest, but work with whatever you are comfortable with. We are using all the threads in the embroidery floss, so no need to split them up. 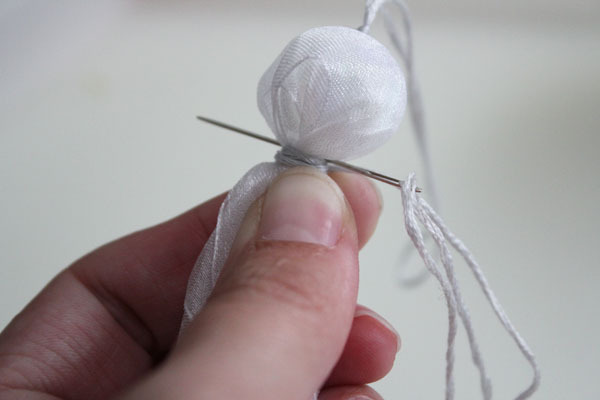 Tie a knot at one end, and thread the other through the needle. 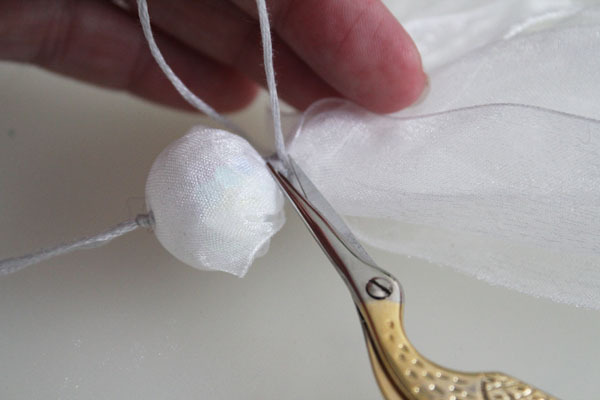 Your knot needs to be big enough that it won’t slip through the hole in the bead. I tied several knots on top of each other to get a big enough knot. Guide the needle up the center hole of the bead, through the other end, and through the layers of ribbon. The knot at the bottom should keep the thread from going all the way through. Then guide the needle back down, about 1/8″ away from where you came up. Don’t pull the thread all the way tight. 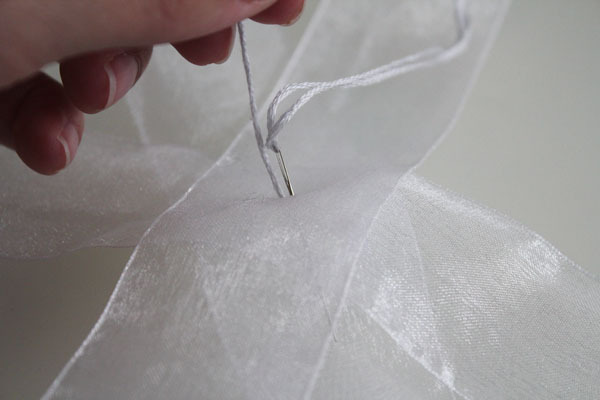 Leave a loop at the top for hanging your tassel, and tie a knot to secure the thread at the base. 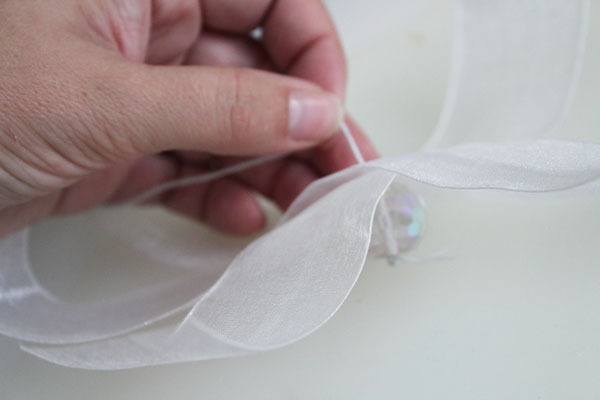 Pull all the ribbon tight around the bead, and pull the thread so that it comes out between the ribbons. 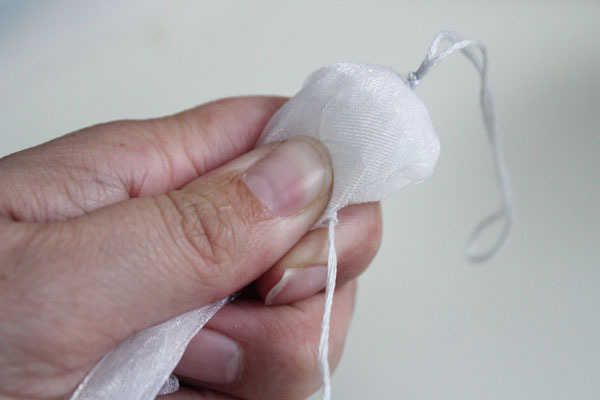 Wrap the thread tightly around the ribbon at the base of the bead. Wrap as much or as little as you like. You should probably wrap at least 6 times or so. Pierce the needle through all the layers. 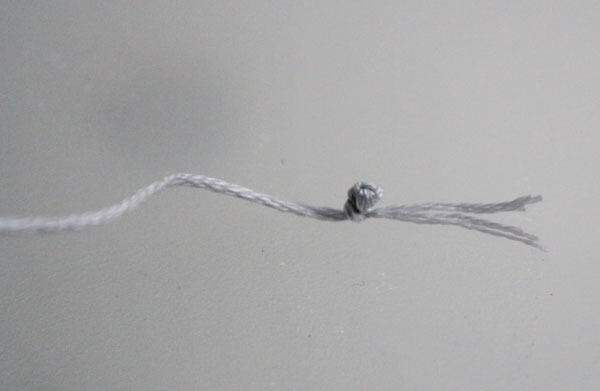 You can pierce it at the top of the thread, or in the middle. Repeat this process, going back and forth 3 or 4 times to secure the thread. Cut off the thread at the base. 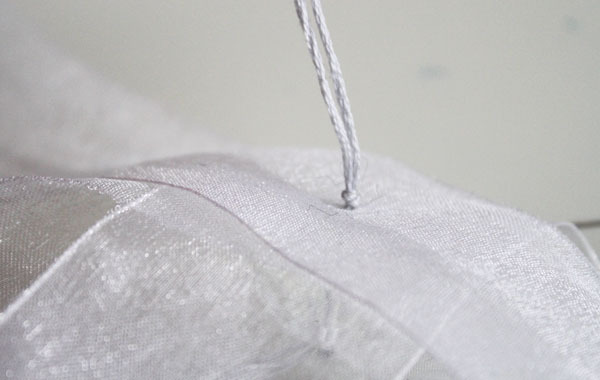 If you’re unsure that your thread will hold, add a light layer of white school glue over the threads. When the glue dries, it will help keep them secure. Paint on the eyes and mouth with paint. 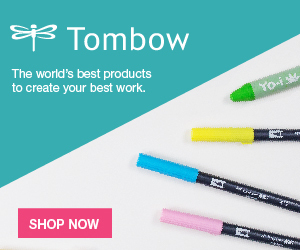 You might want to test your paint on a scrap of ribbon to make sure that it won’t bleed. This MultiSurface paint worked perfectly. Once your paint has dried, you can hang up your tassel! 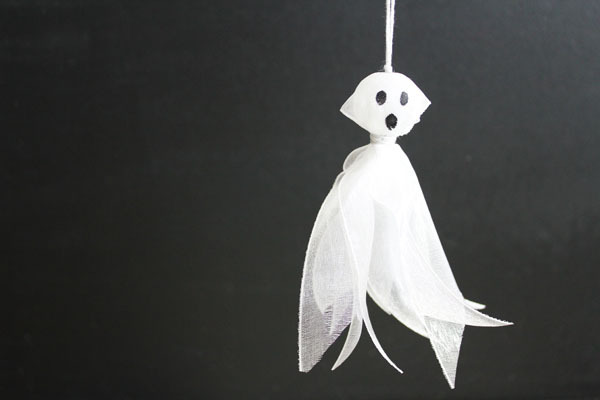 Use this fun ribbon ghost tassel as part of your decor – you can hang them on doorknobs, from banisters, tack them to the ceiling, hang them from your purse or backpack… tassels are so versatile! 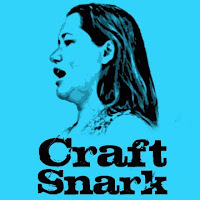 If you haven’t seen the other fun posts in this series, be sure to catch up by checking out the Craft Lightning Day 1 Roundup and Craft Lightning Day 2 Roundup… and come back later today to catch the Day 3 Roundup… there is sure to be lots more fun and spooky Halloween crafts!